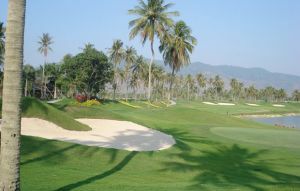 The Khao Kheow 27-hole golf course is located in the heart of the Pattaya “golf strip” between Bangkok and Pattaya. 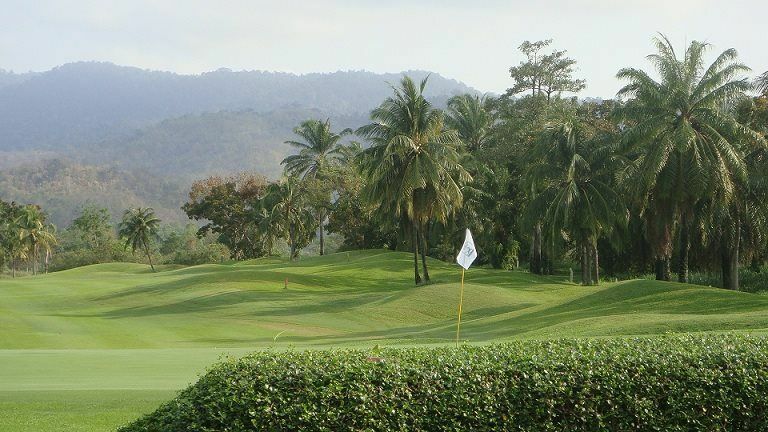 Like so many of the Eastern Seaboard’s courses the Khao Kheow Country Club is set in a valley between 2 hills and strong sea breezes are prevalent most afternoons. 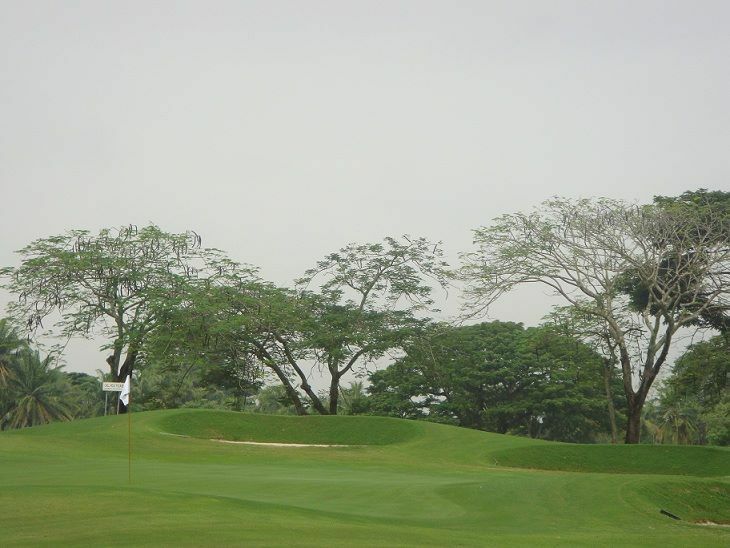 The course plays quite long and the elevation changes between holes is a welcome differentiating point compared to the other flatter courses in the surrounding area. 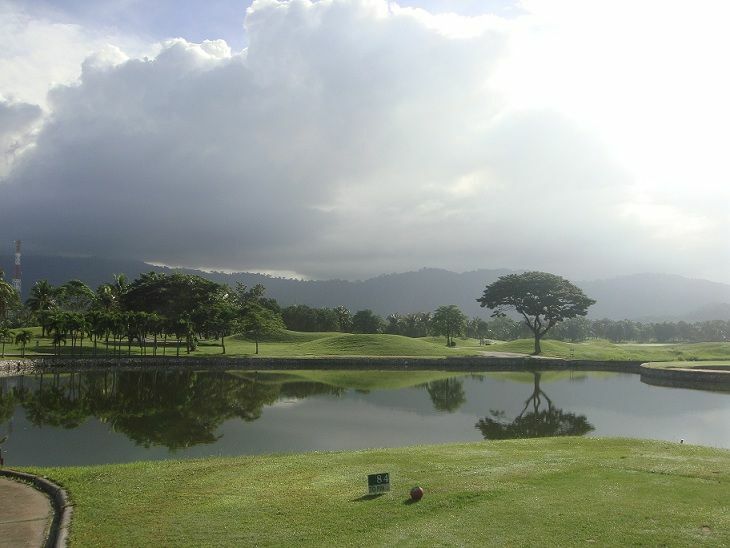 In typical Pete Dye design fashion, careful shot making is required to overcome not only the windy conditions but also to take into account the numerous large ponds, bunkers and hills that surround the well manicured fairways. 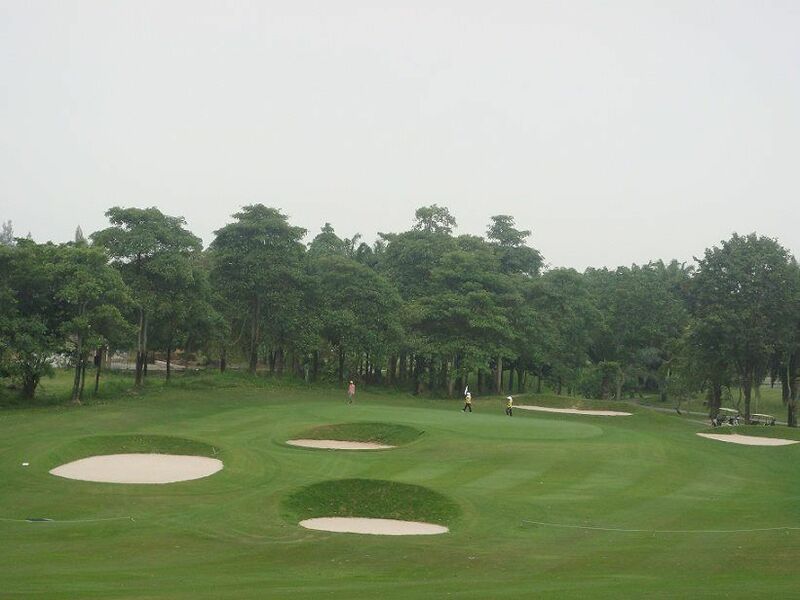 Greens are heavily undulating which makes precise putting a key to scoring well. The course really has something for everyone. 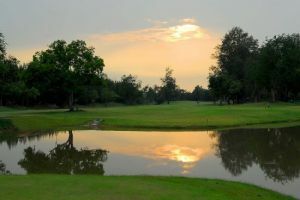 In particular, the signature par-three seventeen, which plays to an island green is a challenge for both amateurs and professionals. 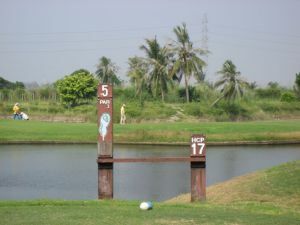 The first 18 have been designed as a championship course, while the final 9 holes are easier, more like a resort course. 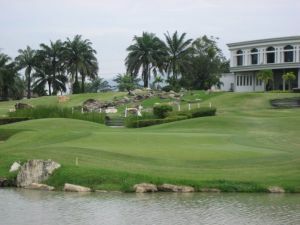 Playing all 27 holes is a good option for those who would like to enjoy the variety of holes, elevations, and settings. Those who play all 27 holes can look forward to relaxing at the well appointed clubhouse afterward their rounds. 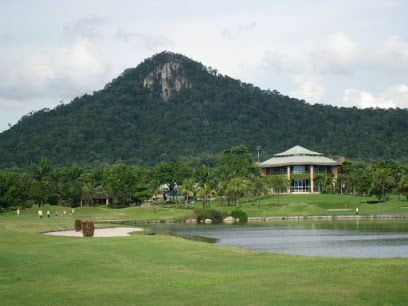 The restaurant is nothing special, but the normal Thai golfer’s favorites like minced pork with basil, fried rice, and a wide selection of noodle soups are all good choices. 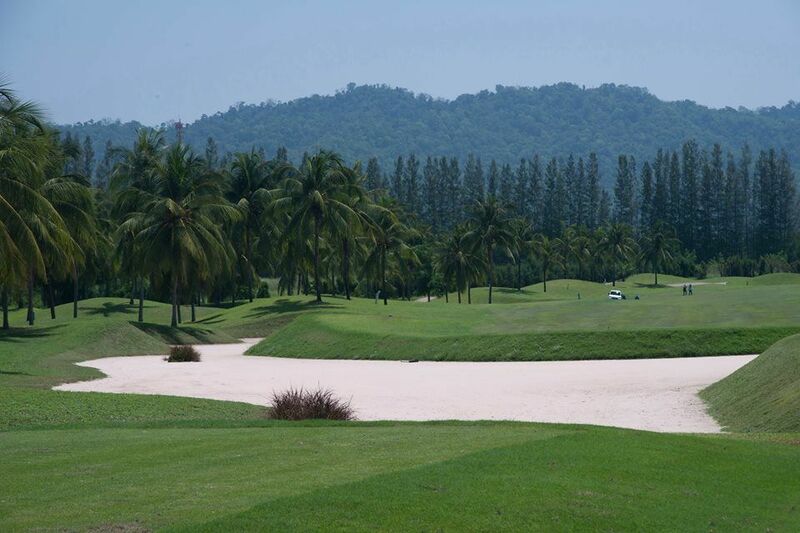 Overall Khao Kheow is a well balanced Pattaya golf course that ranks in the top third of all areas courses, therefore making it a good choice for inclusion in any Pattaya golf package. Carts are optional, which also helps to keep costs lower than normal and affords all golfers a choice of walking or riding. 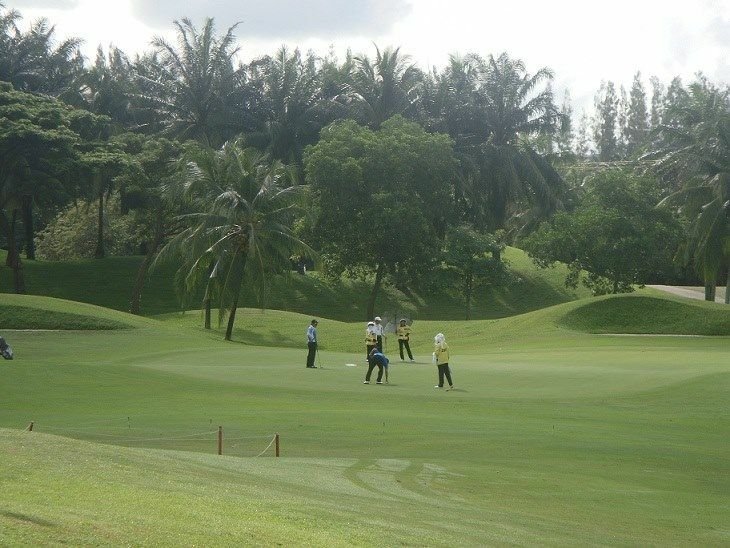 Khao Kheow Country Club has different Services to offer. Choose a date and number or players to see the rates.